These paintings done as a pair. It was painted by Mariusz Szmerdt for an exhibition in Spring. I had proposed to do it in a joint kind of framing similar to this kakejiku. However, the artist preferred to have this done in two separate scrolls. So I made this in a three style format. 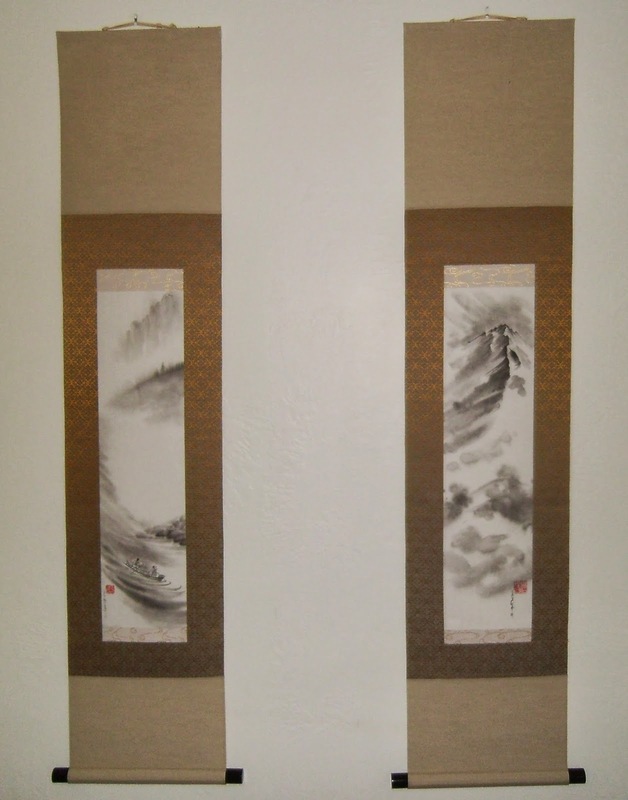 I used the light gold and white wave to be like a wind, and the chumawashi gold pattern cloth with an arabesque. The ten/chi is a light, solid tan. The hanging string or kakehimo is a light gold called Usukin. The jikusaki used were a wooden black lacquer. This Shrike was painted by Mariusz Szmerdt for an exhibition he plans on entering. I have titled it myself as, "In Anticipation of Spring" The bird looks chilled and the grasses are dried and withered, but there is a feeling of the spring to come in the near future. To complement the title and feeling I had when first seeing the painting was to have the Ichimonji and Chumawashi to reflect fall with an orange and gold, while the light green Ten/Chi is the hint of spring. It is completed with a Nashichi Jikusaki and a Uguisu (Dark Green) hanging string. I lack serious photography skills. As a result sometimes the presentation of the scrolls does not look as nice...when customers send me the pics in their natural settings, things become so much more clear. 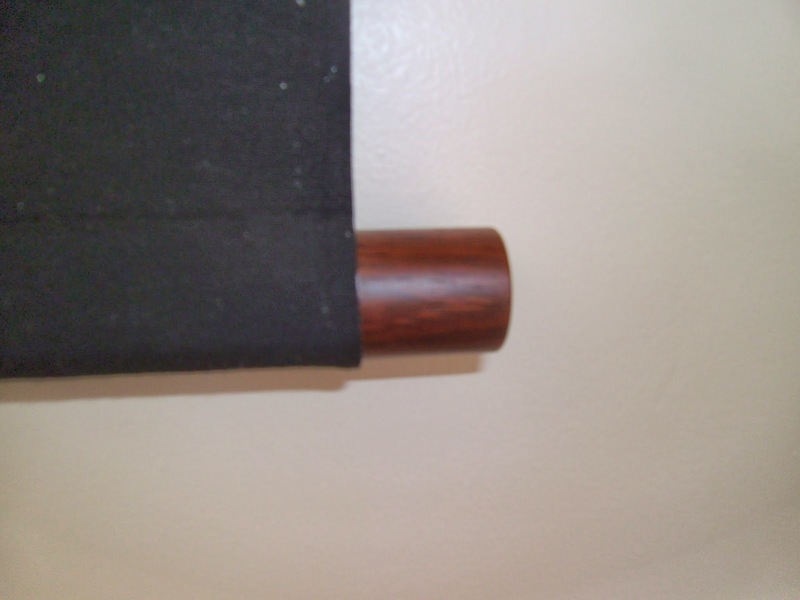 This is a scroll I purchased through an online auction....What a headache for shipping a worthless scroll. I knew the cloths mounting would be bad, because they only took pictures of the painting. The painting has cracks in the paper and wrinkling, but I am going to remake it into something remarkable. I am aiming for that elusive wabi/sabi concept, and may be able to pull it off if I study it deeply. The first thing I will have to do is remove the cloth and take off the back layers of paper on the painting. Then I will put a new layer of paper on it to remove the wrinkles that have settled on the artwork paper. After that I will remount it and try and resell it. This was a commission for a personal dojo. These Karateka study Shito-ryu style of Karate. 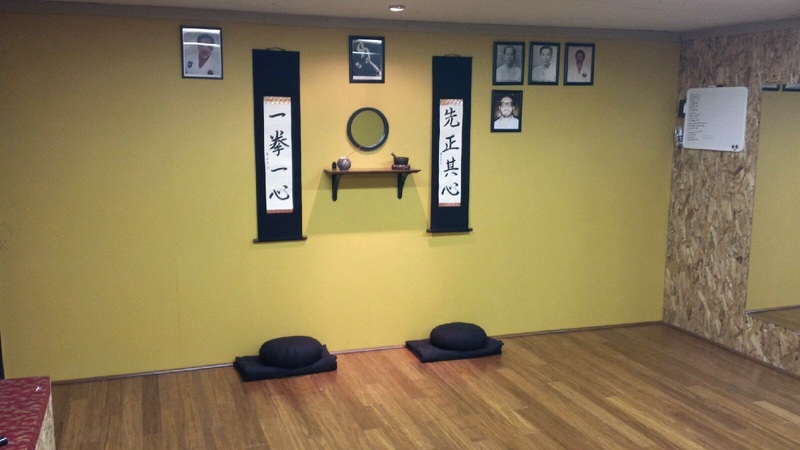 The kakejiku or wallscrolls have a very simple style. One scroll reads First Purify Your Mind. The Second reads One Punch, One Mind (Ikken Isshin 一拳一心）. I used a lighter rosewood Jikusaki to contrast with the black cloth, but used the dark navy (Kon) hanging string to blend in with the black cloth. Customer requested a red ichimonji, which I think worked out very elegantly for this scroll. 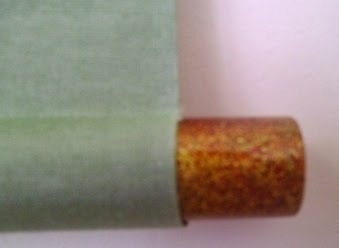 Due to the nature of the plant theme, I used a dark green on gold Ichimonji with a yellow/green wave pattern intermediary cloth. The Ten/Chi (top and bottom) is a light green. 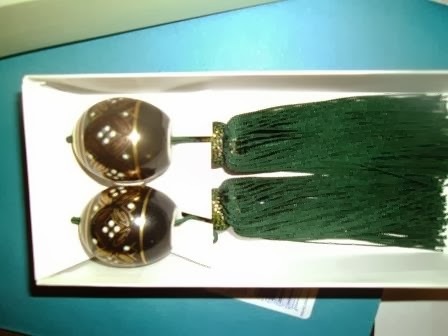 The scroll order also included a black gold pattern Fuuchin, with a dark green hanging tassel. The hanging string is the uguisu which is a dark green. I tried to go to Lightest, Dark Green, Lightest Yellow Green, Darker Green, back to Dark Green. I think it provides a very harmonious transition. Here is a new scroll commissioned for a friend of a school acquaintance's new baby girl. The girls name is Luella, and in Japanese would Read Ruera. So I went to my dictionary to find some terms that would work with that name and be feminine as well. The first character is Ru 屡, Which can be often or Again and Again. This character is also read as Shibashiba. The Second character is 偉 Era(i), which means Excellent or Admirable. So it would roughly mean someone who is admirable again and again. 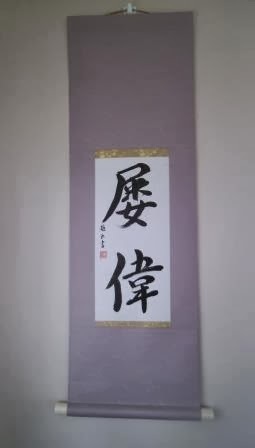 It was written by Yoshimi Yamada Maples in the Kaisho style and I completed the scroll with a light purple mixed silk with a small pattern in it. The ichimonji is a gold on gold small karakusa and the hanging string is a light gold. It is completed with ivory plastic jikusaki.